Baseball is a common and popular sport in the United States. More than 2.5 million children participate in some form of youth baseball and over 20,000 participate in collegiate baseball every year. Shoulder injuries have been on the rise in this population most likely due to the increased exposure and amount of throwing beginning at younger ages. Many of the injuries are due to overuse that causes a breakdown of the soft tissue structures. The most common of these soft tissue pathologies include rotator cuff tears, Superior Labrum Anterior to Posterior (SLAP) lesions and anterior instability. The repetitive nature of the overhead throwing motion has been linked with several anatomical and biomechanical tissue adaptations including altered glenohumeral range of motion, particularly GIRD (glenohumeral internal rotation deficit), altered scapular position and motion (dyskinesis), increased humeral retroversion, and a thickened posterior capsule. These changes are thought to represent various stages of maladaptation in the shoulder complex. My research interest is in identifying and measuring the specific tissue adaptations that are occurring and accounting for the altered motion. I have done research with baseball players using new methodologies to measure many of these adaptations directly. Specifically, we have identified the presence of a hypertrophied posterior capsule on the throwing arm in collegiate baseball players that correlates with GIRD and scapular upward rotation. I believe that by narrowing in on the temporal progression of these adaptations we can develop prevention strategies at a young age to minimize the risk of many overuse injuries. I am also involved in basic science research using a rat model to study the effects of overuse activity on rotator cuff injury and healing. Specifically, we are examining the effect of overuse activity after a rotator cuff tear on the mechanical and biochemical properties of the uninjured structures of the shoulder joint. This week I will be glad to answer questions about overuse shoulder injuries; including but not limited to risk factors for overuse injuries, methodology for measuring tissue adaptations, injury progression, and mechanical and biochemical alterations with overuse activity. 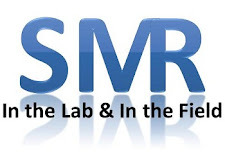 I will try to answer your questions with objective responses and links to articles but some of these answers will represent my opinions on the available data and do not represent the opinions of SMR, the other collaborators to the blog, my research collaborators, or my medical institution. I look forward to hearing from you and answering your questions. Great work you have done and continue to do in this area. Your article on changes that occur in the HS BB player over a 12 week season was very interesting and thought provoking with the results. Displaying scapular changes over rotational changes when comparing pre-postseason. It made me think of the age and level (Youth, HS, college) components of the overhead athlete when looking at rotational and scapular issues. I know there are a ton of variables to control with athletes over time (pre-post season and yearly), but I am starting to feel that the scapular component and the younger athlete is a more sign player with dysfunction. Possibly contributing to the capsular changes over time. It is of interest with me bc when treating some athletes in PT, I try to prioritize what I give to be performed at home, knowing the age can sometimes affect the attention span, and keeping in mind the importance of a HEP versus coming to PT 2-3 times a week to correct a problem. What are your thoughts on age/level of play with scapular/rotational changes?? Tom Thanks for the comment. This is really a question that I don't have an answer for currently. Based on the evidence that is out there my recommendation when treating athletes would be to go through a very thorough evaluation and screen. I would then treat the deficits that are identified. As I'm sure you are aware it comes into question "what is considered a deficit." That question is also open ended. As far as rotational changes are concerned it is very difficult to determine what structures are contributing to the motion you are measuring. So is it appropriate to stretch a player with a GIRD of 18. To be honest that isn't enough information. We would like to know how much of the GIRD is due to humeral retroversion and how much is due to soft tissue. Without that information we may be stretching athletes that don't have any soft tissue restrictions. Similarly with the scapula, asymmetries may be normal for throwers and not necessarily lead to injury. Asymmetries may be bad but only when they hit a critical level. None of this is currently know and until it is determined we are treating these patients with our eyes closed. We are primarily using anecdotal evidence to create treatment plans. We need longitudinal studies that span from 5 year olds that just start throwing to 50 year olds that have thrown for 30 years to really determine how these adaptations transcend. With that being said here is my opinion on the progression of adaptations. I believe the first thing that occurs when a 5 year old starts to throw a baseball is the natural progression of the humerus moving from humeral retroversion to anteversion either slows or completely stops. This most likely is based on the frequency and intensity of throwing. Once the humerus is fused, which I believe occurs much earlier then the normal age of 18, the next tissue that starts to adapt is the posterior capsule. What I recently found, which is currently in review, is that players with more retroversion have a thicker posterior capsule. So if a player has 20 degrees of retroversion on the throwing arm they can ER 20 degrees further and be able to generate more velocity on the ball but they also have 20 degrees less internal rotation to decelerate. So you have more force and less motion to diminish that force. Overtime your rotator cuff will fatigue and any load the cuff cant absorb will be absorbed by the posterior capsule. The next stage and this may occur simultaneously with the capsule is the scapula will get pulled around the thorax during the deceleration phase because of the tight and thick posterior capsule. Overtime this will cause the scapular stabilizers to be stretched and overworked most likely leading to the fatigue related inhibition that is commonly described. Again these are just my hypotheses that are loosely based on research and I'm sure many others have alternate ideas which I would love to hear. I hope I wasn't too long winded! !